To achieve ‘success’, being visionary is a prerequisite for an individual apart from hard work, perseverance and dedication. 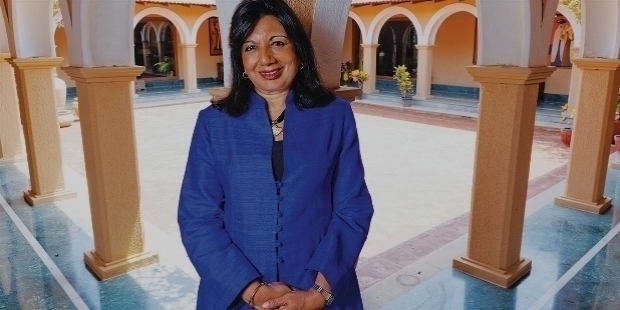 India’s Kiran Mazumdar-Shaw is one such self-made billionaire, renowned for her biotechnology Company – Biocon Limited. Kiran Mazumdar was born on the 23rd of March 1953 in Bangalore. Father Rasendra Mazumdar worked as the Head Brewmaster at United Breweries. Kiran graduated from Bishop Cotton Girls’ High School, Bangalore in 1968. She joined Mount Carmel College. In 1973, she graduated in Zoology. Kiran’s father was a visionary father, who advised her to study Fermentation Science and train to become a brewmaster. In those early days, it was a very non-traditional field for a woman to become a brewmaster. Kiran embarked into an unknown journey with her father’s faith and advice. Kiran moved to Australia to study malting and brewing in Federation University. She was the only girl in the class. In 1975, Kiran topped the class to graduate as a masterbrewer. After attaining her degree as a masterbrewer, Kiran joined as a trainee in Carlton and United Breweries. She was also trained as a maltster at Barrett Brothers and Burston in Australia. Having gained enough experience in Australia, she returned home. Between 1975 and 1977, Kiran became a Technical Consultant at Jupiter Breweries Limited in Calcutta and a Technical Manager at Standard Maltings Corporation in Baroda. Ambitious by nature, Kiran saw there was no future in India as a masterbrewer, unlike her father. She was about to move, to work as a masterbrewer, in Scotland. Destiny came knocking at Kiran’s life in Leslie Auchincloss’s face. The founder of Biocon Biochemicals Limited of Cork, Ireland Leslie Auchincloss was looking for an Indian entrepreneur to help his Company to establish an Indian subsidiary. Biocon Biochemicals Limited produced enzymes for the brewing, food-packaging and textile industries. It was the beginning of Kiran’s unknown journey. Kiran gave up the Scotland job to undertake Auchincloss’s offer conditioned-attached. She should be guaranteed a brewmaster’s position, if she did not wish to continue after six months. The six months never arrived and instead of giving Kiran a masterbrewer’s job, Auchincloss trained her to be a manager at Biocon Biochemicals Limited in Ireland. Having learned the business model, Kiran was back in India to set-up the branch. In 1978, Kiran established Biocon India with just INR 10,000/- as her seed money. She operated from her garage in Bangalore. 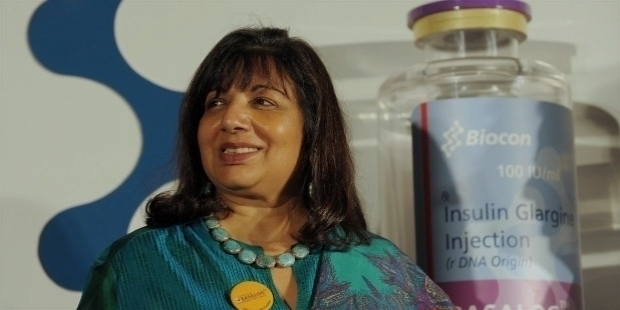 The joint venture, between Auchincloss’s Company and Kiran Mazumdar began their operations in India. It was an unchartered territory for young Kiran. Funding became a major concern as she had an untested business model in India. She chanced to meet a banker at a social event, who agreed to finance her project. Hiring staff was her second big concern. A retired garage mechanic was her first employee. Not the one to give up so easily, Kiran set-up her first factory in a 3,000 sq ft shed. The technological challenges to build a biotech business in India were immense. With a weak infrastructure like inconsistent power supply, non-availability of sterile labs, superior water quality, imported research equipment and non-availability of qualified staff in India became a daunting task for Kiran. Kiran’s initial projects were extraction of papain and isinglass. Papain is a protein-digesting enzyme obtained from unripe papaya fruit and is used to tenderize meat. Isinglass is obtained from tropical catfish and used for clarifying beer. In its first year, Kiran was able to export to U.S. and Europe enzymes manufactured by Biocon India. Her Company became the first Indian Company to achieve this credit. Confident about the future, Kiran bought a 20-acre plot with her earnings. From an industrial enzymes manufacturing company to a fully integrated bio-pharmaceutical company, with a well-balanced business portfolio of products and a research focus on diabetes, oncology and auto-immune diseases, Kiran Mazumdar has taken her Company to new heights. In the early 1984, Kiran developed a research and development team at Biocon. The main focus of the R&D team was discovery of novel enzymes and on- development of novel techniques for solid substrate fermentation technology. In 1987, Narayanan Vaghul of ICICI Ventures supported creation of a venture capital fund of US$250,000 for Biocon India. The money was used to expand Biocon India’s R&D efforts further. Inspired by Japanese techniques, a new plant was built featuring proprietary solid substrate fermentation technology based on a semi-automated tray culture process. In 1989, Biocon India received US funding for proprietary technologies. It was a first for an Indian biotech Company. In 1990, Kiran established Biocon Biopharmaceuticals Private Limited in a joint venture with the Cuban Center of Molecular Immunology. BBLP started manufacturing and market a select range of biotherapeutics. In 1989, Unilever acquired Biocon Biochemicals of Ireland from Leslie Auchincloss. Biocon India’s partnership with Unilever helped it to establish global best practices and quality systems. 8 years later, Unilever sold its specialty chemicals division, including Biocon, to Imperial Chemical Industries in 1997. In 1994, Kiran established a subsidiary of Biocon India – Syngene. Syngene provided early research and development support services on a contract basis. In the year 2000, Clinigene was established. Clinigene focused on clinical research trials and the development of both generic and new medicines. At a later stage, Clinigene was merged with Syngene. In 1998, Kiran Mazumdar got married to Scotsman John Shaw. John raised $2 million personally for Kiran to acquire the outstanding 30% shares of Biocon from ICI – Imperial Chemical Industries. John Shaw joined Biocon after resigning from Madura Coats. In 2001, Shaw became the Vice Chairman of Biocon India. In 2004, Mazumdar-Shaw sought Narayana Murthy’s advice to list Biocon on the stock market. Biocon became the first biotechnology Company to issue an IPO in India. The Company’s reputation saw the IPO oversubscribing 33 times, with a market value of $1.11 billion, in its first day. On the first day of listing, Biocon became the only second Indian Company to cross the $1 billion mark. 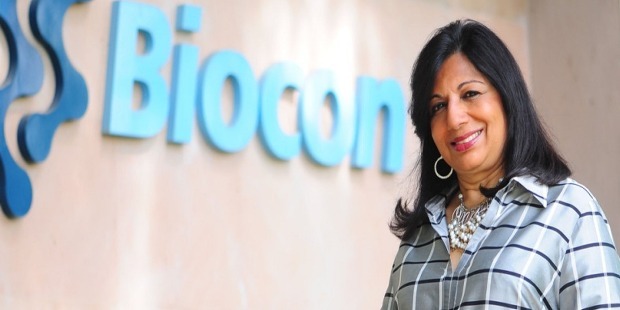 ‘Affordable Innovation’ has been Kiran’s driving philosophy to expand Biocon. She has a strong belief and inspiration by the need for affordable drugs in less-wealthy countries. Kiran has innovated affordable means and opportunities to develop cost-effective techniques and lower-cost alternatives. Kiran proposed that drug companies should be cost-sensitive in marketing to developing countries, so as to make drugs affordable for people, especially for chronic therapies. Over the years, Kiran Mazumdar-Shaw’s developed immense business acumen with her visionary decisions. She was perhaps one of the firsts, who noticed the potential for Statins, a cholesterol fighting drugs. In 2001, the patent of the cholesterol-lowering drug Lovastatin expired. Biocon immediately began its development and expanded to other forms of Statins. She established a dependable market base to enter the long-term supply contracts. Statins itself accounted for 50 plus per cent of Biocon’s revenue. 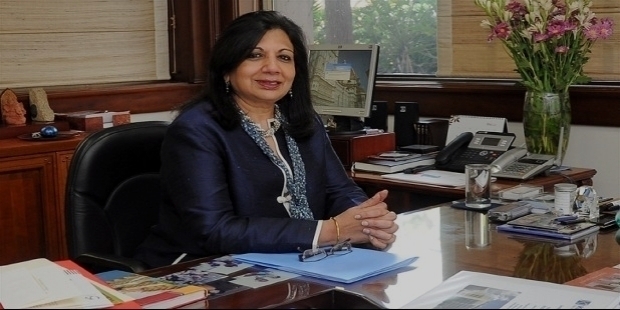 Her visionary precision took Biocon to INR 500 billion in 2004 from INR 70 billion in 1998. Biocon is Asia's largest insulin producer. It has the largest perfusion-based antibody production facilities. Biocon's major areas of research now include cancer, diabetes, and other auto-immune diseases, such as rheumatoid arthritis and psoriasis. The Company is also working on drugs to treat psoriasis. Biocon spends 10% of its revenue on its R&D. Between 2005 and 2010, the Company has filed 950 plus patent applications, entered into 2,200 plus high-value R&D licensing and other deals. “Innovation and commerce are powerful tools for creating social progress, as they are for driving technological advancement. When they are put to use for social progress, the implementation is a lot cheaper, a lot more people benefit, and the effect is more lasting,” stated Kiran on her social activities. Mazumdar-Shaw prefers the term ‘compassionate capitalist’. She strongly believes that properly-applied business models can provide an ongoing foundation for sustainable social progress. In 2015, Kiran Mazumdar-Shaw joined ‘The Giving Pledge’, promising that at least half of her wealth will be dedicated to philanthropy. In 1989, the Government of India conferred the Padma Shri to Kiran Mazumdar for her immense achievement in taking India’s biotechnology sector global. In 2005, Kiran Mazumdar-Shaw was bestowed the honour with Padma Bhushan. 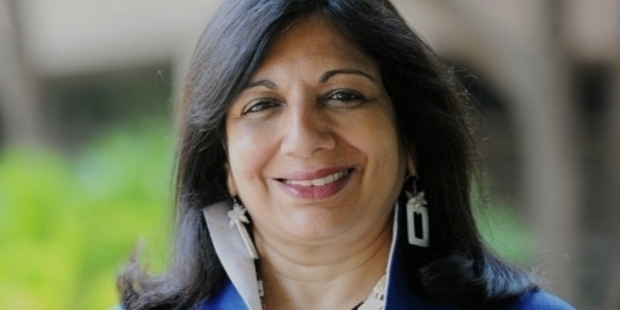 In 2014, Kiran Mazumdar-Shaw was awarded the Othmer Gold Medal for her outstanding contributions to the progress of science and chemistry.